Johns Hopkins wrote the rules on patient safety. But its hospitals don’t always follow them. 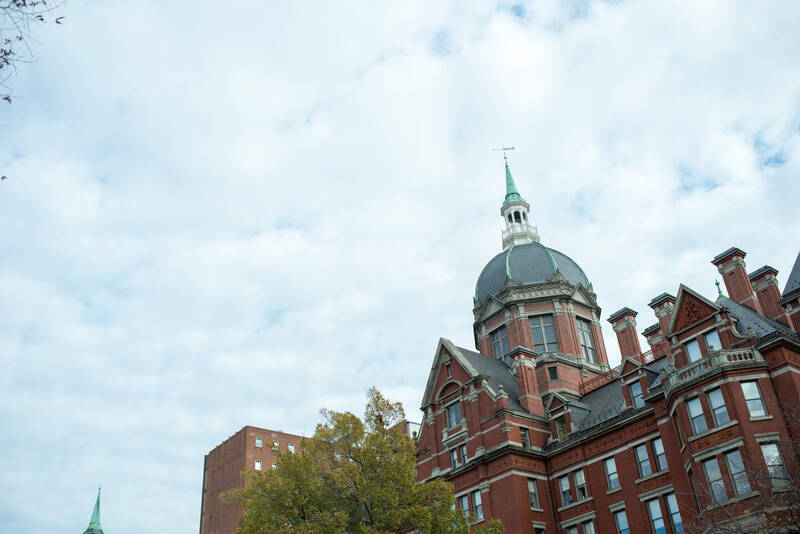 BALTIMORE — Johns Hopkins touts itself as a national leader in patient safety. Its doctors invented a simple checklist credited with saving thousands of lives. They developed a system to reduce medical mistakes through teamwork and communication. They wrote one rule to follow above all: Listen to the frontline staff. But the renowned Johns Hopkins Hospital in Baltimore and its five sister hospitals haven’t always followed those principles, the Tampa Bay Times has found. In at least nine recent cases, the health system has been accused of making preventable errors or setting aside basic safety rules. Some serious problems continued long after frontline workers brought them to the attention of high-ranking executives. In Bethesda, Md., doctors at Suburban Hospital kept performing surgeries even though Johns Hopkins had learned the operating rooms weren’t being properly cleaned, according to federal inspectors. In the heart of Baltimore, a pediatric burn unit continued treating patients after its leader begged administrators to shut it down, saying the unit had made mistakes that left children disfigured, court records show. And in St. Petersburg, at least eight employees warned supervisors about issues with a pair of heart surgeons at Johns Hopkins All Children’s Hospital, the Times reported last month. By late 2017, when the hospital stopped the first of those surgeons from operating, the mortality rate in its Heart Institute had tripled, and at least 11 children had died. Every hospital makes mistakes; federal inspection reports show safety problems at many top institutions. And Johns Hopkins continues to be a leader in health care. The flagship Johns Hopkins Hospital spent more than 20 years atop U.S. News and World Reports’ rankings. It is now No. 3. But some of the incidents at Johns Hopkins hospitals stand out for their severity. Taken together, they illustrate the $6 billion health system’s struggle to consistently follow the principles its experts preach. Johns Hopkins’ efforts to reduce harm have brought “great fame to the system,” said Sara Singer, a Stanford University professor who studies how hospital culture affects patient safety. Johns Hopkins did not make an executive available for an interview to discuss the cases. In a statement, it described medical errors as a “tragic fact” that occur in all health organizations. But it also said “we can and will do better” and that it would take steps to prioritize safety. “The Tampa Bay Times has identified occasions where it is apparent that as an organization we failed to act quickly enough, we failed to listen closely enough and, in some instances, we failed to deliver the care our patients and their families deserve. This is unacceptable,” the statement said. “Anyone who demonstrates that they are unwilling or unable to maintain our rigorous and exacting safety culture will not be a welcome member of our caregiving community,” the statement said. In the burn unit case, however, the program’s director said he took his concerns higher and higher, ultimately writing an urgent letter to the health system’s chief executive. The director, Dr. Stephen Milner, said he presented “incontrovertible proof of children that were being mutilated in that department, and they did nothing but cover it up,” court records show. Asked why under oath, Milner responded bluntly. “I think that they care more about the reputation of the hospital than they do the care of patients,” he said. Johns Hopkins’ reputation for safety was built atop tragedy. In 2001, a toddler named Josie King was seriously burned in a bathtub. Doctors at the Johns Hopkins Hospital treated her wounds but missed signs of severe dehydration. She died after an infection she caught in the hospital led to septic shock. Months later, a 24-year-old Johns Hopkins employee participating in an asthma study run by the institution died from inhaling the chemical compound that was being tested. Johns Hopkins’ top leaders pledged sweeping change. They created a center for innovation in patient care and safety. Its medical director developed a revolutionary checklist to follow when inserting central venous catheters, a common procedure that often caused deadly infections. Among the simple steps, medical professionals should wash their hands; clean the patient’s skin with antiseptic; and wear sterile masks, hats, gowns and gloves. When the checklist was deployed in intensive care units across Michigan, the infection rate dropped 66 percent, according to research published in the New England Journal of Medicine. In 16 months, it saved an estimated 1,500 lives. Johns Hopkins also developed a widely used system known as the Comprehensive Unit-based Safety Program that trains teams of employees to prevent hospital-acquired infections, falls, medication errors and other common problems. It empowers nurses and other frontline workers to speak up if patients are in jeopardy. The expertise has brought Johns Hopkins millions of dollars. The Armstrong Institute, as the Johns Hopkins safety unit is now known, consults for hospitals around the world. It charges $3,495 for patient safety certification and $3,500 for three-day workshops to observe safety in practice. Johns Hopkins also gets paid to develop safety guidelines for the federal government. The Armstrong Institute has received at least $28 million since 2011, records show. It is due to get at least $4 million more next year. Despite Johns Hopkins’ reputation for safety, federal inspectors have cited its network of hospitals for at least seven serious problems since 2011. At Howard County General Hospital outside Baltimore, inspectors in 2015 noticed some staffers not wearing protective gear during invasive procedures, and others not washing their hands in a unit for critically ill newborns. At the Johns Hopkins Hospital in 2013, an operating room technician mixed up two patients’ blood types. One received the wrong blood during surgery. His heart stopped and he died. The hospital blamed a reaction to medication, but inspectors said his medical records were too contradictory to know for sure. 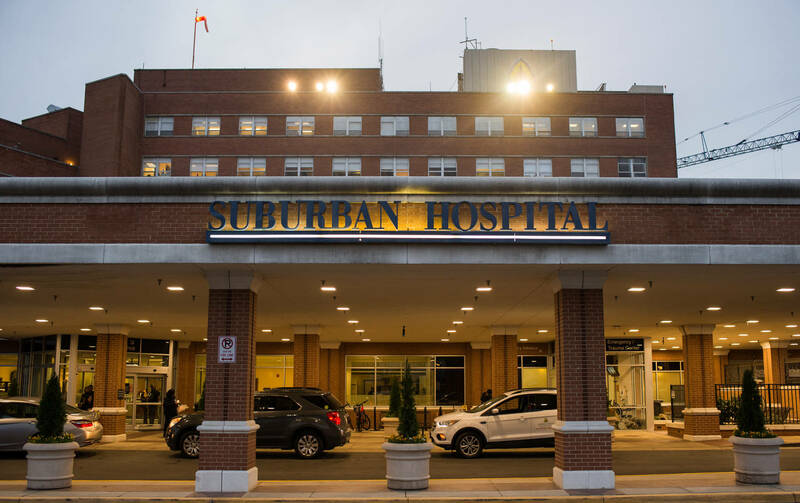 Suburban’s chief executive and chief operating officers remained in their jobs, despite being criticized by inspectors for a “lack of awareness” that “directly affected patient outcomes.” The nurse manager who first raised concerns was “terminated” in April 2012, the inspection report said. Every hospital has safety issues, said Dr. Robert Wachter, who wrote the book Understanding Patient Safety and leads the Department of Medicine at the University of California San Francisco. “The test is what do we do when we find them,” he said. Johns Hopkins teaches medical professionals to be transparent. Nonetheless, All Children’s broke Florida law by not reporting two cases in which surgical objects were left inside patients to regulators, the Times reported. In one case, the child’s parents had not been told. At Johns Hopkins Bayview Medical Center in Baltimore, radiologists didn’t note a fracture on a CT scan of a patient’s spine. The patient was in pain for months before the fracture was found. She wrote the hospital a letter asking what it was doing to prevent similar mistakes. It acknowledged her letter but never answered her question. Federal inspectors later cited the hospital for letting one of the doctors who originally read the scan conduct the hospital’s internal investigation. A year later, inspectors found that Bayview radiologists missed life-threatening embolisms on a CT scan of another patient’s chest. The hospital said it had been unusually busy that day. At Suburban, the inspectors who found the dirty operating rooms also learned that two patients were operated on with instruments that hadn’t been sterilized. Neither the patients nor their primary physicians had been told. At least one situation reached the highest levels of Johns Hopkins leadership. One-year-old Elijah Adams was just waking on Nov. 16, 2012, when smoke filled his upstairs bedroom. His mother, Danielle Rayside, scooped him out of his crib and rushed him to safety. He was limp in her arms. Elijah was treated for third-degree burns at the Johns Hopkins Hospital. Four days into his stay, hospital workers had trouble placing a catheter in Elijah’s left thigh. They injured his leg so badly that it had to be amputated, his parents alleged in a lawsuit. After seeming to improve, Elijah’s condition suddenly worsened, his mother said in a deposition. He developed infections that led to septic shock. His kidneys and heart started to fail. Elijah died on Dec. 17, 2012. 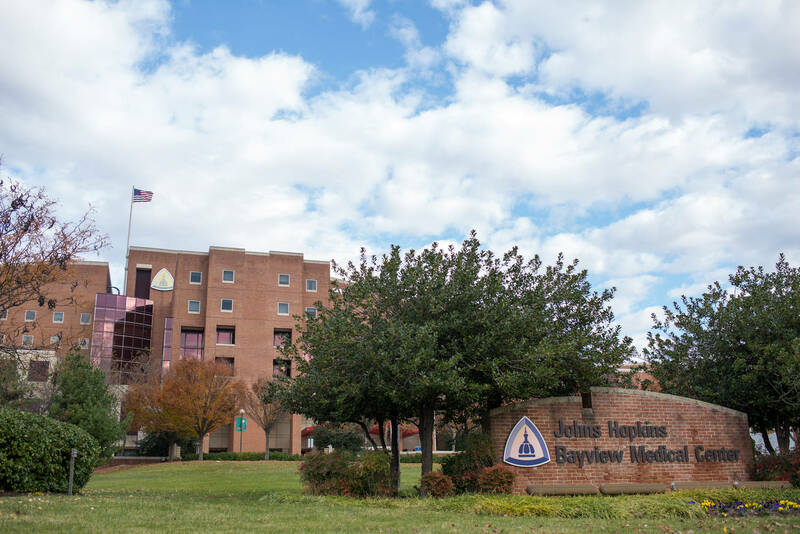 In the months that followed, the doctor in charge of the Johns Hopkins Regional Burn Center became concerned about results in the pediatric program that treated Elijah. The doctor, Stephen Milner, examined the medical records of several recent patients. A spokeswoman for Milner’s current employer said a settlement agreement meant he was “unable to talk to about anything remotely related to” a lawsuit he would later file. But a review of memos and medical notes filed in the lawsuit shows he detailed a range of problems. Children were saddled with unnecessary procedures. Serious burns were treated with Bacitracin, an over-the-counter antibiotic used for minor cuts and scrapes, leading to infections and septic shock. Milner initially tried to address the problems by meeting with the unit’s nurse manager and one of the surgeons in August 2013, he said. He instituted regular burn training. But staff members ignored his efforts to mentor them, he said. In November 2013, a surgeon who Milner felt lacked the proper training performed a controversial procedure on a child’s second- and third-degree burns. The boy lost use of his hand, his parents said in a lawsuit. He proposed a “radical overhaul.” It didn’t happen. In May 2014, Milner provided a memo to the hospital’s vice chairwoman of quality and patient safety. The hospital convened an internal review of the issues Milner raised. But Milner believed an external review by qualified burn surgeons was necessary. Milner said the burn unit’s staff began to prevent him from accessing the records of patients who suffered unusual complications or died. Attorneys for the health system said Milner was “fishing” for evidence for a lawsuit and could have seen the records at a meeting he canceled. In October 2014, Milner wrote to Dr. Paul Rothman, the CEO of Johns Hopkins Medicine, saying he believed children were still being injured. Milner recommended the program be suspended until surgeons with more expertise in burns could be hired. It stayed open. Rothman met with Milner that month, Milner’s lawsuit said, and health system leaders asked him to serve on a committee overseeing burn care protocols. “Significant institutional resources at the highest levels have been devoted to responding to Dr. Milner’s concerns,” the general counsel for Johns Hopkins Medicine wrote in a letter. But Milner believed Johns Hopkins wasn’t adequately addressing the safety issues or the personnel who were disregarding his authority. He filed a whistleblower lawsuit against Johns Hopkins in 2015, alleging retaliation from colleagues who made it impossible for him to do his job. In court filings, lawyers for the health system said that the unit “successfully treats hundreds of children” each year. They pointed out that Milner had not been demoted or fired and said he never had the authority to fire employees or close the burn unit. Milner appealed. The case settled last year. The families of five children treated in the burn unit filed malpractice lawsuits in 2016. All the families except Elijah’s were represented by Milner’s attorney. The children’s cases settled in 2017. Rayside and another mother declined to comment. The other families could not be reached. Milner has since left Johns Hopkins to work for a biotech firm. The pediatric burn unit remains open, with some of the same doctors working there. The hospital system’s safety practices have recently come under new scrutiny. In late November, the Times reported on the problems at All Children’s, which started after Johns Hopkins absorbed the local hospital and made changes to the heart surgery unit. After the Times report, the health system announced that All Children’s CEO Dr. Jonathan Ellen had resigned, along with the vice president in charge of risk management and one of the surgeons highlighted in the Times’ investigation. Rothman, the health system’s CEO, was “unaware that employees had raised safety concerns,” a spokeswoman said. Some nurses at the flagship Johns Hopkins Hospital in Baltimore have also raised patient safety concerns in their attempts to unionize. It said that one cancer unit had bacterial outbreaks because patients were sharing vital-signs machines. In the emergency department, patients had to wait for life-saving medication because there weren’t enough pumps to deliver the drugs. Nurse Kate Phillips had to split her time between two patients having surgery. In an interview, medical intensive care unit nurse Kate Phillips recalled a day when she was caring for two patients. Both needed surgery, one in the hospital room. Phillips had to shuttle between the two patients, creating dangerous gaps in care, she said. “When you are in an operating room, which my room became, it should be one to one: one nurse to one patient,” she said. Nurse Derek Jannarone’s department saw a spike in falls. Derek Jannarone, a nurse in the comprehensive transplant unit, said his department saw a spike in the number of falls last summer because there were not enough staff members to monitor confused patients after procedures. Rather than staffing more technicians, the hospital hung signs urging patients to call for help before moving around, he said. “This is the culture at Hopkins,” he said. Reach out to us: To tell us about your experiences at a Johns Hopkins hospital, email [email protected] or call the Tampa Bay Times investigations team at (727) 892-2944. For more contact options, go to tampabay.com/tips. Johns Hopkins Medicine: “It is a tragic fact that medical errors occur at every health organization, including at Johns Hopkins Health System, where we treat millions of patients each year across our six hospitals and other locations. The true test of Johns Hopkins’ safety culture is how we address and learn from mistakes when they occur. “The Tampa Bay Times has identified occasions where it is apparent that as an organization we failed to act quickly enough, we failed to listen closely enough and, in some instances, we failed to deliver the care our patients and their families deserve. This is unacceptable. 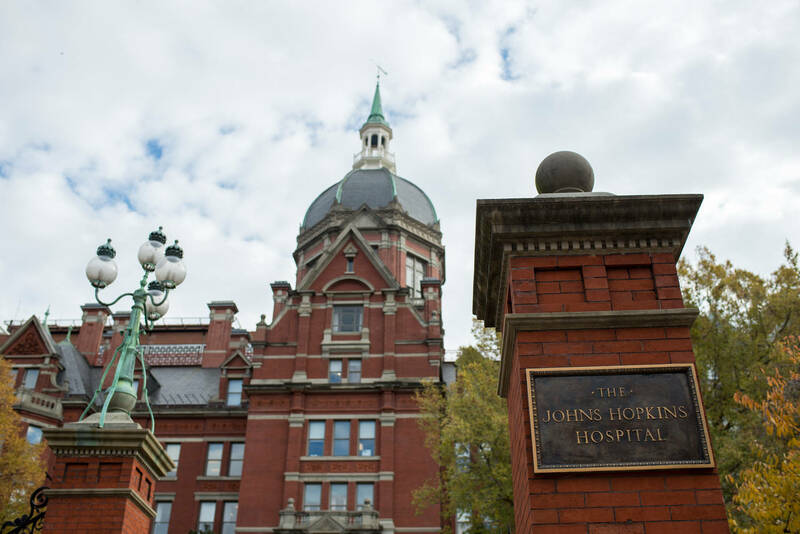 We are carefully prioritizing the process and protocol reviews across the Johns Hopkins Health System to ensure safety and transparency remain at the forefront of all we do. Anyone who demonstrates that they are unwilling or unable to maintain our rigorous and exacting safety culture will not be a welcome member of our caregiving community. Johns Hopkins runs a network of six hospitals. Four are in Maryland; one is in Washington, D.C.; and one is in St. Petersburg. Every hospital faced at least one recent allegation of a serious safety problem. The Johns Hopkins Hospital, Baltimore: (1) Federal inspectors found that a surgical patient who died was given blood of the wrong type. (2) Faced allegations that doctors in its burn unit injured children and top administrators didn’t stop surgeries. Johns Hopkins Bayview Medical Center, Baltimore: (3) Doctors didn’t note a fracture in a patient’s spine. Federal investigators cited the hospital for letting one of the doctors involved in the patient’s care conduct the internal investigation. (4) Inspectors found that radiologists missed life-threatening embolisms in a patient’s scan. Howard County General Hospital, Columbia, Md. : (5) Federal inspectors noticed some staffers not wearing protective gear and not washing their hands. Suburban Hospital, Bethesda, Md. : (6) Performed surgeries even though Johns Hopkins had learned the operating rooms weren’t being properly cleaned. (7) Surgical equipment that wasn’t properly sterilized was used on two separate patients. Sibley Memorial Hospital, Washington, D.C.: (8) Doctors didn’t give a woman medication she urgently needed because of an error in her blood type paperwork. Johns Hopkins All Children’s Hospital, St. Petersburg: (9) The death rate for pediatric heart surgery patients tripled from 2015 to 2017, becoming the highest rate in Florida, a Tampa Bay Times investigation found. Several top hospital executives resigned after the report. Johns Hopkins promised to elevate All Children’s Heart Institute. Then patients started to die at an alarming rate. These eight children went to the All Children’s Heart Institute. Here's what happened to them. These eight children went to the All Children’s Heart Institute. Here’s what happened to them.